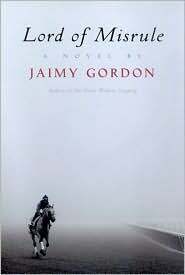 I was glad to see a dark-horse novel, Lord of Misrule, by Jaimy Gordon, win the National Book Award recently for fiction. I hadn’t heard of the sixty-six-year-old author, and neither had a lot of folks. But I ordered her winning book, set in the 1970s at a horse-racing track in West Virginia, after reading excerpts from some of her other novels on Amazon. Lord of Misrule is about a reckless young woman and two “lonely and childless old men deeply tired of the daily work they do, facing their last years without the protections of family,” she tells Bret Anthony Johnston on the National Book Award web site. Having worked herself as a groom at half-mile racetracks from 1967 until 1970, she says, she did some reading for Lord of Misrule (the name of a horse), then field research at Pimlico, and talked to a trainer and to an elderly black groom. Gordon heads the MFA program at Western Michigan University and has published essays, novels, novellas, a narrative poem, and a masque, which Wikipedia tells me is “a form of festive courtly entertainment which flourished in sixteenth and early 17th century Europe.” She’s said that she’d become discouraged with her career. She was known and admired by a circle of discerning writers, but her books hadn’t sold well or been championed. She started writing Lord of Misrule in 1997, and an advanced draft of it lay around her office for ten years. A persistent publisher at a small trade house dragged her into reworking the novel. When Michael Brondoli, Tom Ahern, and I were all living in Providence at the same time and writing elaborate fictions, people began to speak of a “Providence Baroque.” We all cheered on each other’s work, different from each other though we were, and we found a receptive audience there, not only in the Waldrops [proprietors of Burning Deck press]. Tom Ahern is the most truly avant garde, I am the most genuinely baroque in the stylistic and historical sense of the word, and Michael Brondoli is the most likely to write a great American novel as that artifact is traditionally understood—though it may be set in Turkey. Trade publishing, overall, to borrow a trope from William O’Rourke, reacts to the complete spectrum of prose style no better than a dog’s eye to the color spectrum. They see only the middle range, which has sufficient clarity or, more correctly, openness about it. Openness means access: they are concerned with how many readers will troop into the clearing. I haven’t jettisoned my rhetorical fireworks for The Adventuress [likely the working title for her third novel, The Bogeywoman]. I would even wager that I will pass my whole literary life without once being praised by critics for writing in a “deceptively simple style.” I have been able, however, to add to my repertory over the years certain conventional accomplishments of what is nowadays commonly regarded as a novel. I never disapproved of these conventions, I just ignored them (ignore as in ignorant) and used what gifts I had in abundance at the outset, which were all rhetorical. George Meredith, a novelist whom I much admire and feel in some respects closely akin to in the evolutionary scheme, says in An Essay on Comedy that “any intellectual pleading of a doubtful cause contains germs of an idea of comedy.” All my characters have doubtful causes to plead or crank theories to propound, and that is why I am a comic writer, no less so when I try to use some part of myself as a subject. Intellectual absurdities interest me. The mediating element is always rhetoric. At nineteen, in 1963, I began writing fiction I still consider to be part of my mature oeuvre (though I may suppress it from public viewing), unguided, and unharassed, by the program of contemporary feminism, but with complete confidence in my rhetorical powers, which as I’ve already mentioned is not quite the same thing as complete confidence in my ability to write a novel as that genre is commonly understood. But about my prose style, about my ability to create and sustain an original narrative voice, to make a beautiful, thoughtful, subtle object every time I constructed a sentence or paragraph–about these, I never had the slightest question I could, as they say, compete with the field, male or female. My extraordinary facility there, in fact, was one of the imbalances in my nature that made me feel like too much of a freak ever to put myself, in female form, at the center of my own fiction. I write in longhand first and often rearrange and amplify a sentence or a paragraph even as it comes to me. Like the baroque prose stylists I mentioned earlier, I try to imitate the athletic movements of the mind in its complex irregular race from thought to thought. I also try to imitate, and occasionally to plagiarize outright, antique prose stylists I admire. My notebooks are full of minutely written inserts and numbered parts all over the pages. I have to follow the numbers when I finally get to the typewriter. I can do it in my head if I must, and often do, when I’m driving, walking, or lying in bed; but soon I have to get to a notebook. I also have a bad habit of composing on the fly-leaves of other people’s books. It must be my unconscious urge to take over. As you can see, I think the freshmen I teach need a political education and might actually accept one. A direct literary education they would not accept and so I try to let it steal upon them. As for my creative writing students, I don’t impose my literary specialties on them. I try to guide them to the best examples of whatever traditions I perceive they are writing in, however well or ineptly, and whether they know it themselves or not. I think that’s the proper function of a teacher of creative writing. 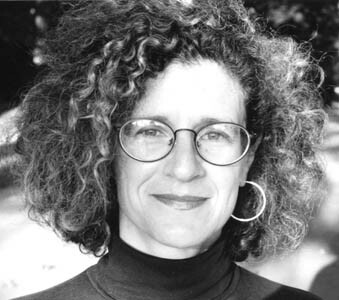 She names a number of contemporary and past writers whose style she admires. The long Gargoyle Magazine interview is worth reading in its entirety. She speaks in a most extraordinary manner. I would like to hear her voice.